As a naturopathic doctor working in Los Angeles, I have noticed many of my patients suffer from stomach pain during menopause. The truth is, as we age, our digestion may become challenged. 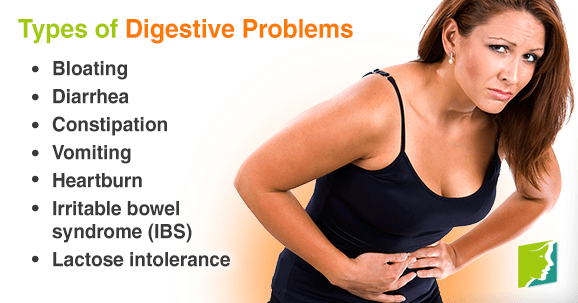 Typical digestive problems patients complain about are, gas, bloating, acid reflux, constipation and or diarrhea. While many of these symptoms are common in women over 40, they are just as likely to occur in men. This is because as we age, our digestive system is also aging. I have covered the issue of healthy digestion in multiple YouTube videos I have done for my channel. And you can find those here. My channel is dedicated to staying healthy from 40, 50, 60 and beyond; so I cover a lot of topics that about the subject of healthy digestion. I have written about digestive health before in an article entitled Ten Simple Rules for Healthy Digestion, which I would encourage anyone suffering from digestive health challenges to peruse. However here, I will list the top foods, and or supplements, that I find most healthful in treating common digestion challenges in menopause. Simple dietary changes may be enough to relieve your digestive health challenges. And I would be remiss if I did not talk about diet here. When attempting to heal your gut, I advice taking 21 days to remove the following foods, wheat, sugar, processed foods, red meat, coffee (or at least reduce the number of cups you are consuming), commercial eggs, chickpeas, and cruciferous vegetables. For most people, these are the foods that cause most health challenges. After 21 days, you can begin to test the foods you have eliminated one food at a time. I would advise testing wheat last, as it is the most common food sensitivity that I have seen in, my patients. Without a doubt, this is the most common digestive complaint I hear from women undergoing menopause. My usual go-to solution is to start the patient on a good digestive enzyme before meals. This is because as we age, digestive enzyme production can decline. I advise taking enzymes just before meals to be the most effective. My favorite enzymes are Digest Gold by Enzymatic. The product is certified kosher and vegan and is one of the first things I prescribe to women who suffer from gas and bloating. If the women suspect she has Small Intestinal Bowel Over-Growth (SIBO), then I advise a lactulose breath test, and will usually prescribe Atrantril in the early stages of treatment. SIBO is a common medical condition that I treat in my offices. And I find that women over the age of 40, particularly women who have busy stressful lives, are at risk of developing SIBO. SIBO is now thought to be the leading cause of many cases of Irritable Bowel Syndrome (IBS). To find out more about SIBO, and my treatment protocols, you can watch my YouTube Video here. Or, check out the article on SIBO I wrote that covers my office protocols for SIBO. For acute gas and bloating, you may want to try charcoal capsules. I personally think Charcoal capsules by Country Life works best. And I advise taking 2 capsules every 20-30 minutes until symptoms abate. I rarely prescribe probiotics for gas and bloating; as I have not found them to be all that helpful. Heartburn is a common symptom of menopause, and I usually treat it by referring them to my article The Ten Simple Rules. I also find that, in addition to basic digestive health habits, chewing Deglycerized licorice (DGL) before meals can be helpful. My favorite DGL is produced by Natural Factors, I especially like the taste of their Chocolate Coconut-flavored DGL. Because heartburn can sometimes be a symptom of too little, rather than too much stomach acid, many patients also benefit from taking Betaine HCL with Pepsin. My favorite is produced by Thorne Research. Thorne produces extremely high-quality supplements and I almost always get excellent results when I prescribe their products. Of course, in addition to supplementation, avoiding spicy food, eating too quickly and caffeine may also be helpful. This is a common condition in women over the age of 40, and there are several things women can do that can be quite helpful. My favorite is to encourage women to add two heaping tablespoons of ground flax in their smoothies or morning yogurt every morning for added fiber. My favorite ground flax is Spectrum Ground Flax; because it comes in a resealable bag, and be kept in the refrigerator for further use. I also like Magnesium Calm, by Natural Vitality. This product is perfect for women who are also having sleep disruption associated with menopause — as magnesium has a calming effect. I usually advice women start with just 1 – 2 teaspoon in a glass of water, about 1/2 to an hour before bed for best results. Fiber is a natural stool softener, that can help lower cholesterol and is also helpful in stabilizing blood sugar. I do not encourage senna based teas. Though they may be helpful on occasion, for serious cases of constipation; usually just increasing fiber can help alleviate the problem all together. By adding just a few simple changes to your lifestyle routine I find that most problems with poor digestion can be alleviated. If your problems persist it might be advisable to seek out a reputable naturopathic doctor in your area. For more on that, contact the American Association of Naturopathic Physicians (AANP).